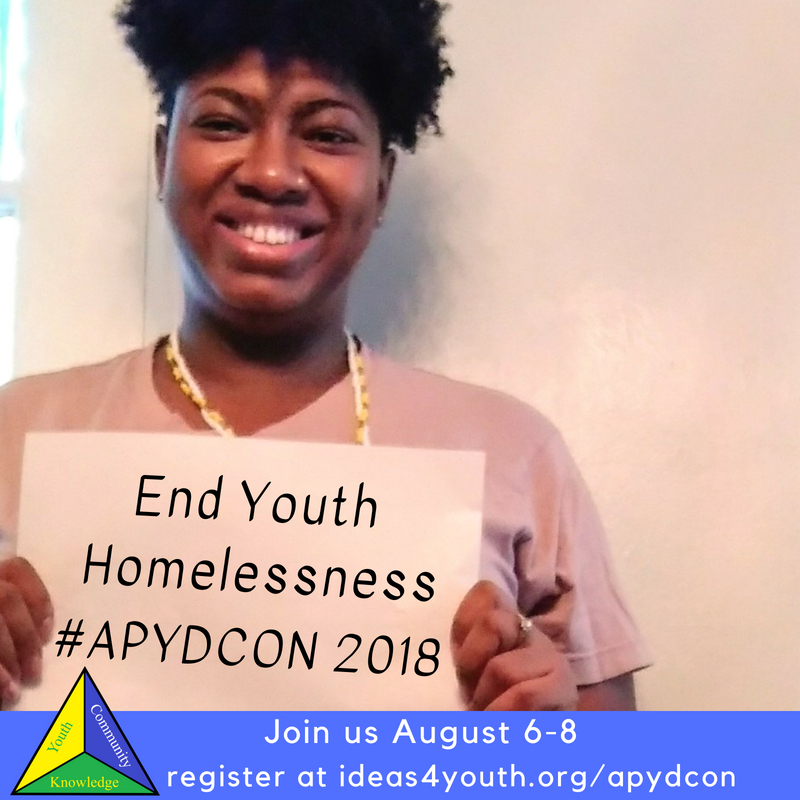 On August 7th, 2018, the Alliance for Positive Youth Development (APYD) is having free workshops on youth homelessness at their annual Best Practices for Youth Development Virtual Conference. The first workshop will be a panel Q&A with experts that work with homeless youth, and the day will end with a presentation by Erin Chapman-Smith, Director of Housing Services at YouthCare Seattle. Both workshops will address best practices for engaging and providing services to youth experiencing homelessness. What inspired you to join the APYD team? All of my work thus far within the field of social work has been within youth services and youth development. For the last ten years, I have worked in various capacities such as Youth Services Senior Case Manager, Support Services Coordinator and currently as a Youth Development Program Coordinator for an NYC based foster care agency. Be it working with Run Away- Homeless Youth, LGBTQ Youth, justice-involved or victims of commercial sexual exploitation of children/ commercial sexual exploitation, working with youth has always been a strong passion of mine, being a part of the APYD team is a natural and rewarding fit. What kind of work are you doing in APYD? Currently, I (along with my cohort members) are focusing on gaining financial sponsors for the upcoming Best Practices for Youth Conference as well as creative advertising and marketing strategies. What has been your most rewarding activity or role in APYD? So far, I think the most rewarding has been being a part of something that is way bigger than I. Being able to help other professionals and those interested in working with youth develop their skills to deliver best practices. How do you think APYD addresses issues facing today’s youth? For one, I think on a very mirco level it is the exchange of information on a digital platform which is progressive in its self. On a macro level, it is addressing the needs and concerns of what we see youth challenged with every day and how to better utilize the systems that we are in some fashion all a part of, to enact change. What advice do you have for professionals working with youth? Make sure this is your passion and that you have been “called” do the work, not because you are good at it but because it is a part of who you are. It is your natural gift. Ask questions when you are unsure, seek mentors and be genuine, non- judgmental and honest in your intentions when working with youth.